Home LIFESTYLE BABY SAFETY GUIDE & GIVEAWAY! We brought you our Toddler Safety Guide with essentials and helpful products. 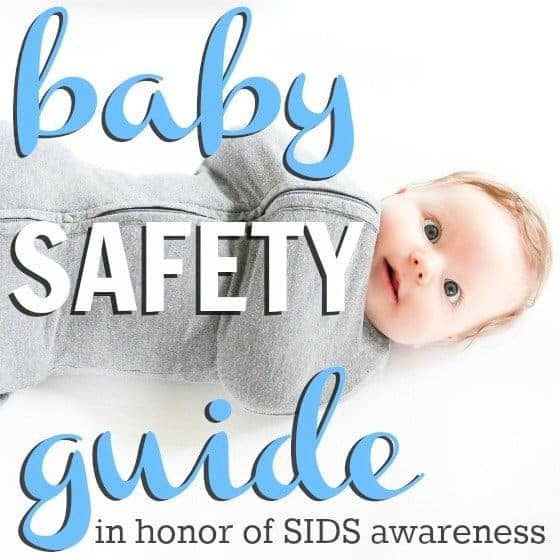 Now, we bring you our Baby Safety Guide. As a mom, you want nothing but the best for your baby. 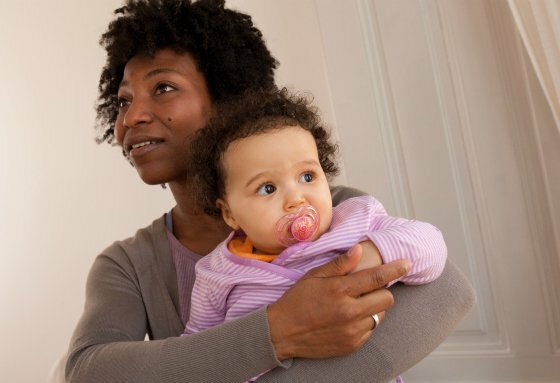 Those first few months with your infant can be trying and leave you with so many uncertainties. We have compiled a list of some of the best products on the market from some of the most trustworthy companies that will help you along the way and put your mind at ease, knowing that you are doing the very best to keep your precious one safe from day one. When you first think of keeping your baby safe, you immediately think of car safety. Daily commutes to the daycare center, elementary school, the office and the dry cleaners keep us feeling like we spend more time in our vehicles than we do in our homes. 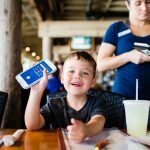 This is why your child's safety in the car should be priority number one - it is where they are spending a lot of time each day. Maxi-Cosi has stumbled upon the perfect recipe for an infant car seat. The ingredients to this remarkable starter seat? They began by making it the lightest premium infant car seat available. Then they added superior side impact performance with Air Protect® technology. Next, they made sure that it would accommodate children rear-facing from 5-22 pounds and up to 29” in height with a Cozi-Dozi™ infant support for smaller babies. They make it functional and stylish with the convenient stay-in-car adjustable base, premium fabrics and padding for a comfy ride and integrated canopy with flip-out visor. Finally, they make it extra safe with the 5-point harness with up-front harness adjustment. 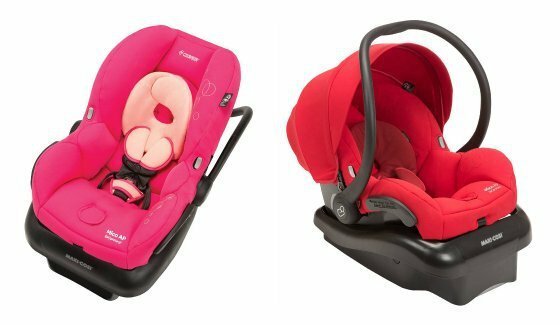 With so many bright cheery colors, remarkable safety features, optional accessories and its Air Protect® technology, every mom (and dad) will find what they are looking for in the Maxi-Cosi Mico AP. You are the modern mama. You know how to entertain your toddler with a story, rock your infant to sleep, cook a meal and catch up on your daily dose of Daily Mom all at the same time. 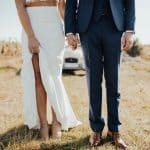 But what about when you're in the car? 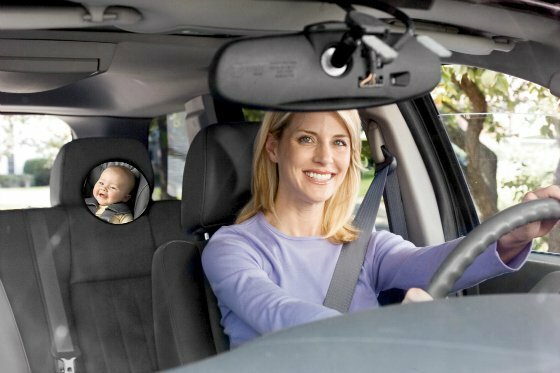 Are you able to keep an eye on your rear-facing infant while staying focused on the road so that you are keeping the family safe on the streets? When it comes to keeping our eyes on our kids and on the road in front of us, we trust the One Step Ahead Easy View Backseat Mirror. We use it in our own cars because not only is it unbreakable and crash tested, but it holds its position and does not obscure rear window visibility. You will rest easier knowing that you can check in on your rear-facing little one with ease and assurance. Once you bring your tiny newborn home from the hospital, often the worry switches on for new parents. If you're the type of parent who is constantly checking on your new baby as they sleep, rather than sleep yourself, the Oma+ may be just the tool for you. The Oma+ is a cordless, battery-operated monitor that can go with you wherever you and your baby go. 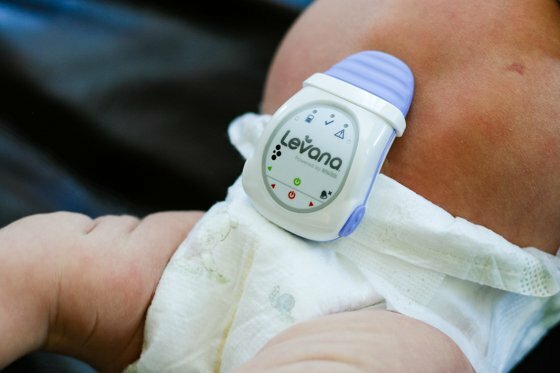 The Oma+ clips directly onto your baby's diaper, and can detect the smallest of movements. 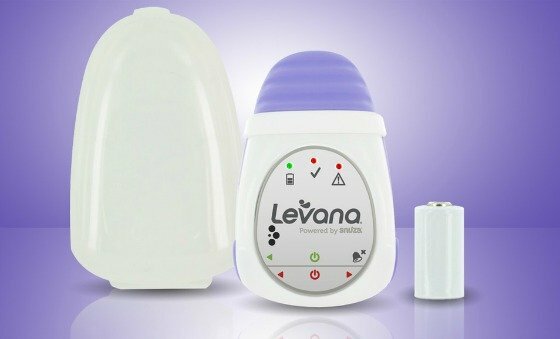 The sensor will gently vibrate to help encourage the return of regular movement after 15 seconds of complete stillness and will beep loudly to alert you if no movement is detected for more than 20 seconds. Because of where the sensitive sensor is located, it is unlikely to give a false alarm. 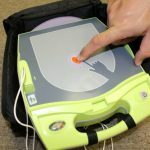 Gone are the days of the movement sensor mats and their touchy alarms or faulty sensors! You can sleep peacefully (as much as your newborn will allow you to!) without obsessively checking on your baby, because Oma+ is there to watch over your newborn as they slumber. There are so many infant loungers, bounce seats and co-sleepers on the market today, it might be difficult to decipher exactly which one is best for your baby. When shopping for a lounger or co-sleeper, it is particularly important to take safety, quality, practicality and functionality into consideration. You'll want something that you can feel confident will provide your baby with a comfortable, safe place to sleep. This is especially true if you plan on co-sleeping with your infant. While co-sleeping is a natural route that many parents take to bond with their baby, make nursing at night easier and stay close to their baby's side to ensure their sleep safety, it can be dangerous if not done safely. Parents often opt for a co-sleeper that can be placed in their bed to keep their baby close, but also ensure she has her own safe nook to sleep in, eliminating the dangers of rolling under the covers or her parents. 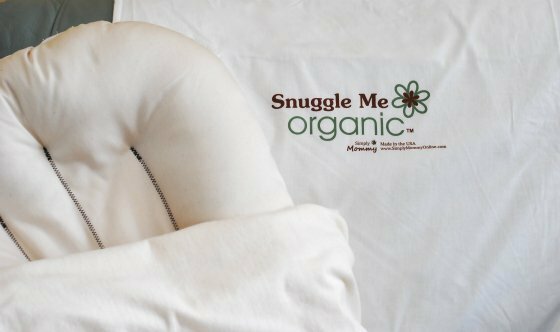 Snuggle Me Organic is the "jack of all trades" when it comes to infant cushions. Its innovative design allows babies to feel as though they are being enveloped in a hug, all the while creating a safe and secure mobile place to sleep. 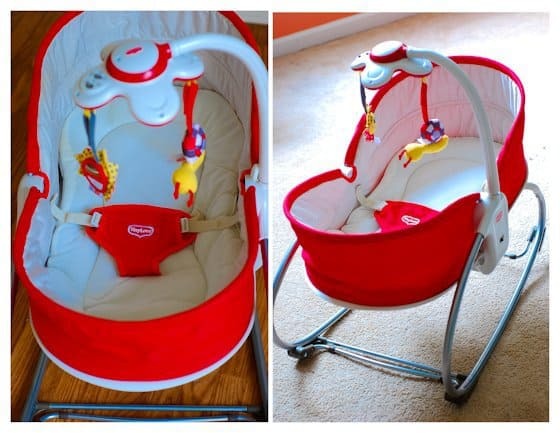 It has cushions all around and a hammock effect in the center, so that you can be sure your baby will lay flat, and won't roll over or turn when placed in its center. The cushions are hand-crafted with materials made in the US. 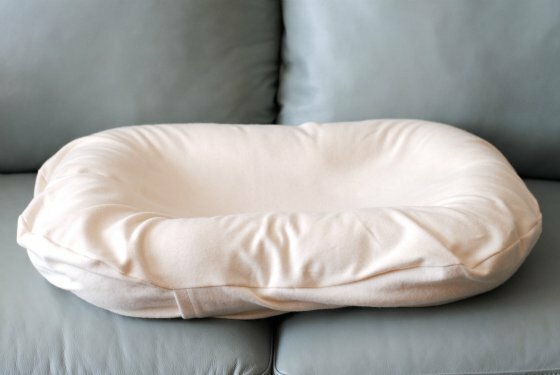 They are made with a hypo-allergenic fill, and the cushion and removable cover are both made with 100% certified organic cotton. The greatest thing about the Snuggle Me Organic is that it can grow with your baby. You can use it from birth all the way into toddlerhood. It will become a familiar comfort for your baby as he grows. 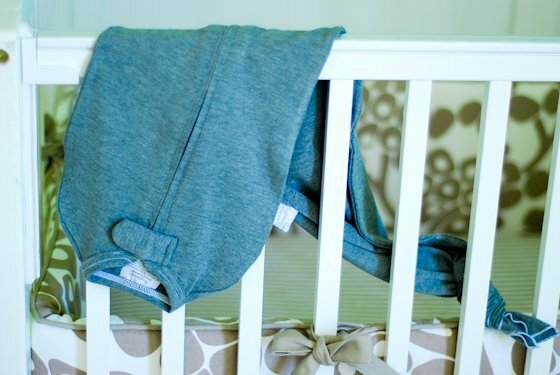 Loose blankets in the crib are a modern-day crib no-no, however, what can you do to replace them while also insuring that your new baby stays warm (especially during those winter months?) The Halo Sleepsack Swaddle is the answer to your Mommy-prayers! The adjustable swaddle wrap immobilizes your baby's arms to prevent the "Moro" or startle reflex, therefore keeping them calmer, and (hopefully) not waking up as often throughout the night. Plus, Halo offers 100% organic cotton options, as well as many different prints, styles and sizes available all the way into toddler-aged! Your newborn will spend an average of 12-16 hours per day sleeping. Did you know that mattresses and crib mattresses are required by law to contain toxic chemicals, allowing them to be considered "flame retardant?" In addition to the chemicals purposely sprayed into the mattress, the foam itself often contains polyurethane, and formaldehyde, which has been known to cause skin and respiratory irritations. 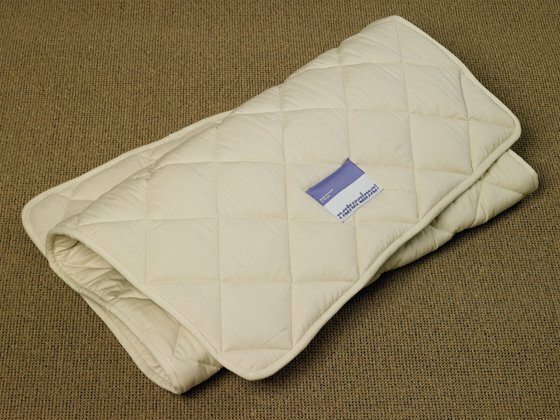 Traditional waterproof mattress covers are also made of PVC, which is a known carcinogen. With all those toxic chemicals, there has never been a better time to make the switch to an organic crib mattress - starting with your child's crib mattress! If making the change is out of your price range, or if you simply wish for more versatility or flexibility, the Top Mat by Naturalmat is the right choice for you! The natural and breathable materials contained within the TopMat regulate your baby’s temperature and help them to sleep soundly, and (most importantly!) safely. 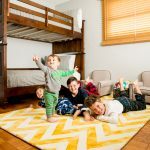 The Top Mat even comes with a portable cotton drawstring bag, making it the perfect travel companion, or even the ideal way to turn those nasty travel cribs into a comfortable and organic environment. To learn more, visit our post on: The Importance of Choosing An Organic Mattress. 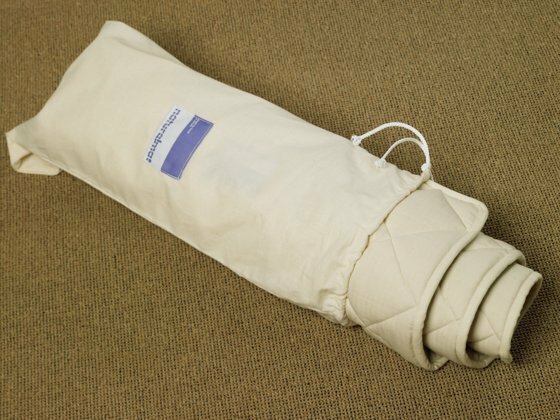 For a lightweight swaddle, perfect for warmer climates or well insulated homes, turn to the Woombie (previously Mod Swad) Bamboo or Air swaddles. These swaddles give your baby the comfort and security needed for a good night sleep; which may mean better sleep for you too! 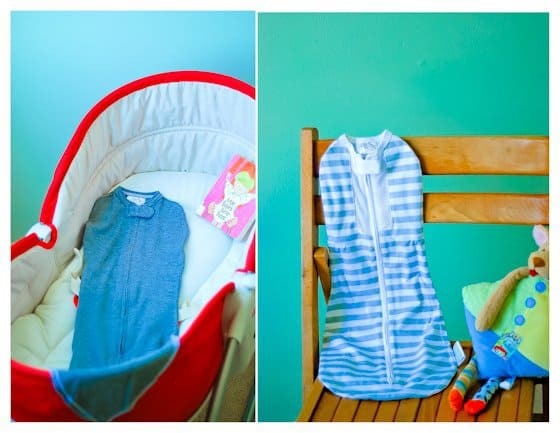 You can rest easier knowing that Woombie products are "made in an Eco Friendly fashion which does not cause harm to your baby or the environment. Organic and natural products are used whenever possible to maintain the health of your baby. They conform to CSPIA guidelines and have been tested in a CSPIA accredited laboratory for safety and compliance. Best of all? 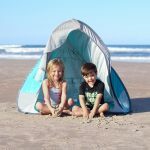 No flame retardants are used in Woombie products." These mod swaddles are different than traditional swaddles in that they are stretchier and less restrictive but still give the feeling of security to your sleeping babe. 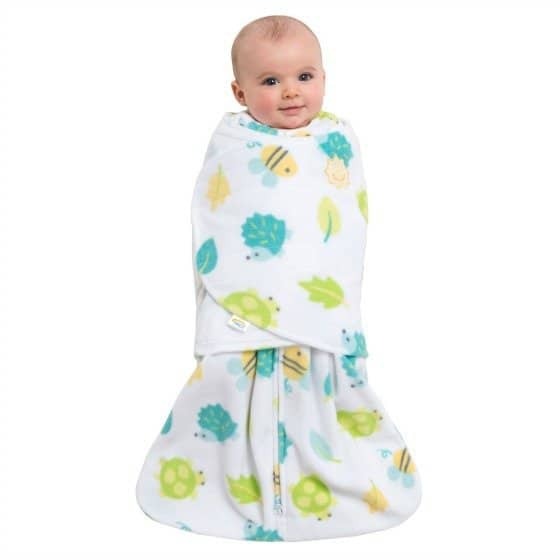 Additionally, Woombie offers armed mod swaddles that are soft and comfortable and are perfect for those little ones who have outgrown a tight swaddle, but still need a security swaddle to nap. Only use while baby is not rolling as it is for back sleeping only. 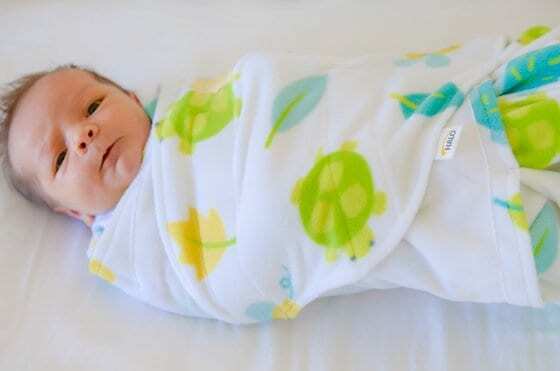 Once your little one begins to roll from back to stomach, it is time to stop swaddling. ome work done around the house - or take a nap yourself! As a mom, you want only the best for your baby. While there is an abundance of adorable pacifiers on the market today from numerous companies, your infant's first pacifier should be no exception. Her pacifier will not only sooth her as you rock her to sleep at night, but it will provide her with a sense security and comfort throughout babyhood. Incorporating pacifiers into your baby's sleep routine is also believed to aid in the prevention of SIDS. So, it's no surprise you want a pacifier from a company you can trust, made of quality, non-toxic materials. MAM produces innovative pacifiers to suit all of your baby's needs all the way to toddlerhood. MAM's "anatomically correct" pacifiers are designed and developed by pediatric dentists and orthodontists, which makes them superior to other pacifiers on the market. cavity development no matter which way they are inserted. do not contain softening agents, BPA, PVC, Phthalates or lead. certain pacifiers designed specifically for teething comfort. come with convenient microwavable sanitizing case. MAM will be your go-to pacifier from birth to toddlerhood! 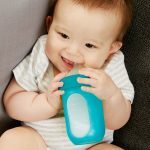 We know that you are constantly worrying about small objects and loose toys that might make their way into your little one's mouth when she is entertaining herself. Give yourself some peace of mind with the Super Mat by Tiny Love. This play mat for babies is perfect for tummy time and turns a core-strengthening activity into a brain building activity! 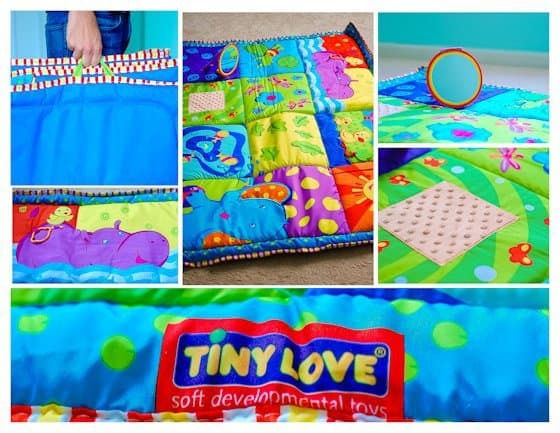 The Tiny Love Super Mat is perfect for honing baby's cognitive abilities, fine motor skills and senses! Read more on fine motor skills and why they are important in our recent article! With an attached teether, an extra ring for attaching a toy, and many built-in, eye-catching figures your little one will be entertained day after day and you will know that you've kept her safe during play time! If bath time gives you anxiety because you worry about the water being the perfect temperature for your baby's sensitive skin, 4Moms has just the solution for you. Their tub water spout attaches directly to your faucet and digitally displays the water's temperature. It's mildew-resistant, easy to clean and fits most faucets. 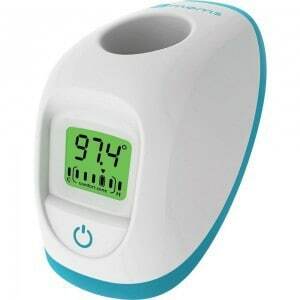 Never worry about your baby's bath water temperature again with this handy device! Fevers are not uncommon in babies and toddlers as their bodies work extra hard to ward off any virus or infection. 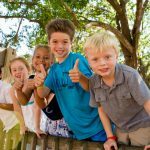 The American Academy of Pediatrics actually emphasizes that fevers shouldn't always cause you to worry as they are actually a good sign that your child is fighting off infection. However, if your newborn gets a temperature over 100.3 degrees F or your older baby/child has a temp of 103 or higher, you should probably call their doctor to make sure something serious isn't causing the high temps. 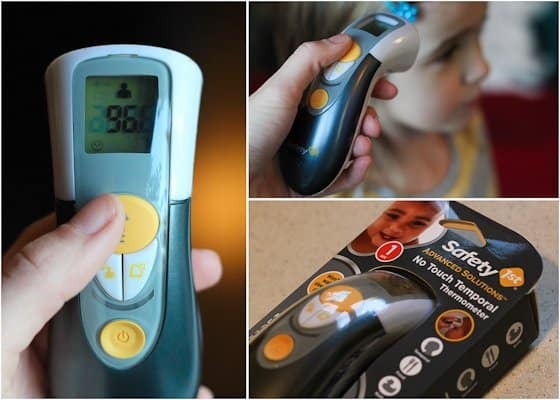 This is why it is so important to have an accurate, easy to use thermometer on hand like the Safety 1st Advanced Solutions No Touch Temporal Thermometer. We have teamed up with some of our favorite brands to offer you a chance to win some amazing prizes featured in our Baby Safety Guide! Simply follow the directions on the rafflecopter below for your chance to win! 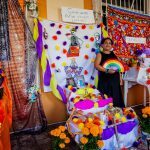 Mandatory entries include signing up for the Daily Mom weekly newsletter. 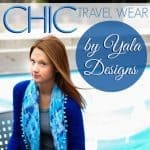 Bonus entries include following the brand pages on Facebook and Twitter.